A new study of older adults shows more than half take five or more medicines a day, yet few take their medications the right way. Not using enough medicine was found to be a serious problem -- with major repercussions for their health. Belgian researchers from Ghent University in Belgium studied 503 adults over the age of 80 for a year and a half. The participants were described as cognitively fit (not suffering from dementia) and living in the community, not hospitalized or in a nursing home. Medication underuse -- not taking enough of prescribed drugs -- turned out to be a big problem, according to the study published in the British Journal of Clinical Pharmacology. Two-thirds of the patients did not take the full amount of the medications they needed. Misuse -- for example, taking a drug longer than recommended, or at the wrong time of day -- happened in 56 percent of cases. Forty percent both misused and underused various medications. Medication underuse was linked with the most serious problems: increased rates of hospitalization and mortality. Over the 18-month study period, people who underused their medications had a 39 percent increased risk of death and a 26 percent increase in hospitalizations, the authors reported. The consequences of misuse -- which can also include issues such as taking a drug with food when it should be taken on an empty stomach -- were less clear. Only 17 percent of the study participants had no issues of underuse or misuse. "Taking too many medications or unsafe medications are known to cause adverse health outcomes; however, we have shown that not taking essential, beneficial medications is more frequent and can be more strongly associated with negative outcomes," study author Maarten Wauters said in a statement. Geriatric experts have known for a long time that polypharmacy -- taking multiple drugs -- and misuse of medications in the elderly is a huge problem, Dr. Gisele Wolf-Klein told CBS News. Wolf-Klein, director of geriatric education at Northwell Health in Great Neck, New York, said, "One interesting part of this study is that they're showing that underuse -- that is important, too. With our elderly patients, it's not just too many. Sometimes they don't take enough." 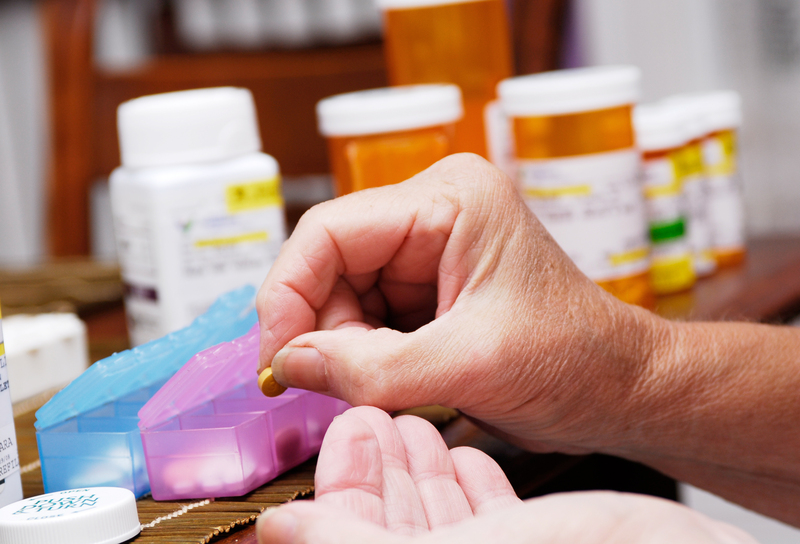 There could be a handful of reasons why some older patients don't take enough of their medications. "Depression is linked to underuse," Wolf-Klein said, explaining that an older, depressed person may not believe the drugs will help anyway. Also, they may not fill prescriptions due to the high cost of drugs. Wolf-Klein said even patients that seem well-off might have limited finances. "A patient may appear to be well-to-do and you don't really know what their resources are. They may need to pay for children who struggling with a divorce, or other family issues -- the money's going to children and they're depriving themselves. Don't assume your patient is able to afford this medication. We physicians need to be aware and concerned with psychosocial circumstances of the patients who may not be able to afford their medicines," she said. In some cases, dementia may also play a role in underuse or misuse -- a patient may simply forget to fill or take their prescriptions. Or the reason can be something seemingly minor. "It could be as simple as the pill you prescribe is so large," said Wolf-Klein. She asks her patients or their caregivers to bring their pill bottles when they come in for appointments; don't just bring a list or rely on recall at the doctor's office. "Bring containers, count tablets and be very open with patients. Ask, 'Do you have any trouble with this?'" recommended Wolf-Klein. "The concept of underutilization hasn't been addressed that much and it's really important to follow up with pharmacists, patients and caregivers."